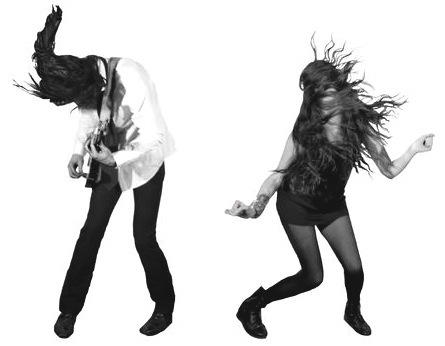 Madeline Follin (vocals) and Brian Oblivion (guitar and vocals) are Cults, an indie pop duo based in Brooklyn. The California-born film-students-turned-musicians create a nostalgic buzz with their 1960s-sounding tunes about love and loneliness. The band signed to Forest Family Records in 2010 and have managed to build up momentum with successful appearances at SXSW, Coachella and FYF, in support of their self-titled debut album due out next week on June 7th. The duo won early accolades for their first singles “Oh, My God” and “Go Outside”. Trendsetting website Pitchfork gave “Go Outside” 9/10 points and named it Best New Music, thereby turning the relatively unknown band into a pop phenomenon. According to Pitchfork, Cults’ music has the “innocent and balmy feel that brings to mind Swedish indie pop, with a tinkling glockenspiel (…) and joyous sing-along vocals”. After what felt like an endless wait, Cults are finally releasing their debut full-length and they were even kind enough to put it up for free streaming on NPR, where you can listen to it until the official release on June 7. The 11-song album is a delightful and sunny collection of 60s-inspired sugar-coated tunes, complete with echo-filled vocals and catchy riffs. But don’t be fooled by the apparent lightheartedness of these songs, under the sugar coating there are often dark tales about apprehension, heartache and the growing pains of young adulthood. This subtle balance between uplifting melodies and thought-provoking lyrics is what makes the album so incredibly effective… and addictive! Remix of Oh My God that i did, hope you guys like it enough to want to post it, i am 19 from Los Angeles much love Umstrummerz ! !